In Istanbul, Turkey, a new psychological therapy and rehabilitation center opened in June. Turkey. Almost 1.8 displaced have sought refuge in Turkey. 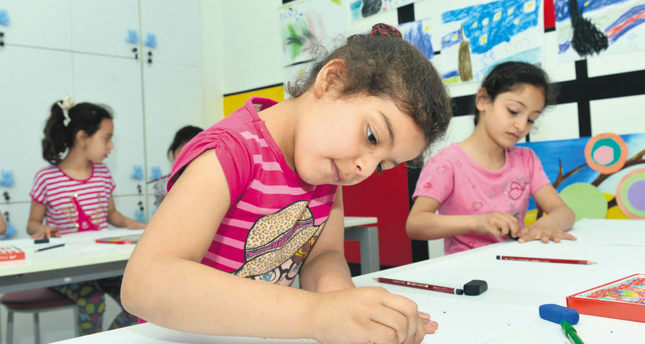 Syrians center will use psychotherapy, art therapy, as well as other therapies to help children and their mothers. The project is led by Muntada Aid and the Alliance of international Doctors. Children who experienced war often need psychological treatment, yet an estimated 2 million Syrian refugee children do not receive help. Regarding the motivation to open the center, the director of the Alliance of International Doctors, Mevlüt Yurtseven, stated “Syrian children underwent the most severe trauma during the war and they aimed to help them to recover.” The center hopes to reach out and help many of the Syrians who fled their country four years ago and came to Turkey. This entry was posted in Other Issues and tagged humanitarian aid, Syrian children on August 14, 2015 by palmyrarelief.